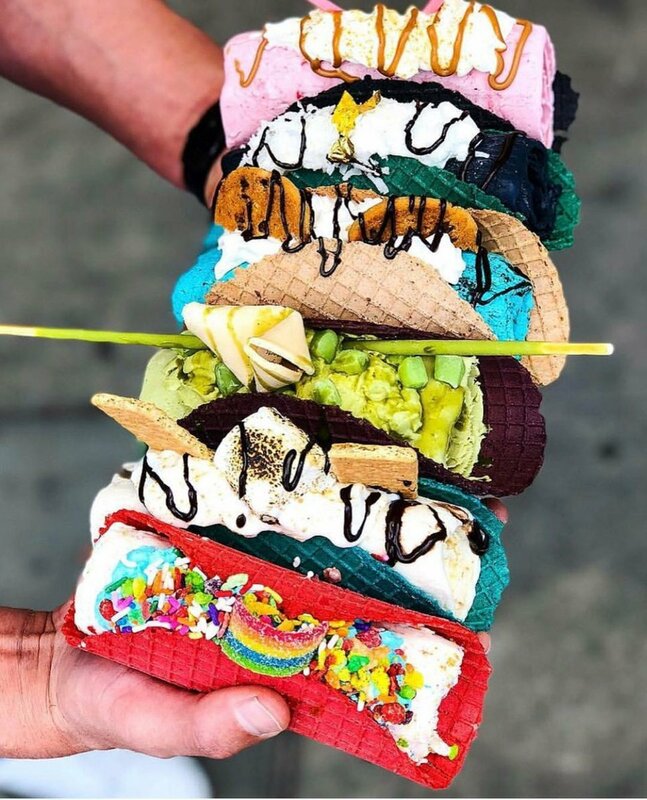 (Photo courtesy of Sweet Rolled Tacos) Sweet Rolled Tacos, which serves rolled ice cream in a colorful taco-shaped waffle cone, will open this summer at The Gateway. 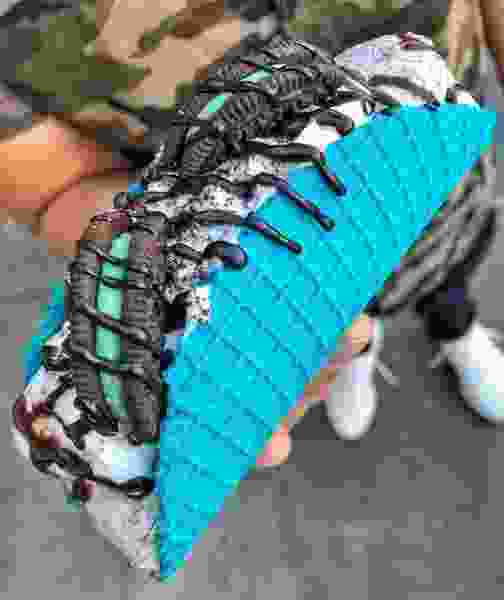 Sweet Rolled Tacos • This shop will serve hand-rolled ice cream in colorful, taco-shaped waffle cones with imaginative toppings. “It’s basically an Instagrammers dream,” Cushing said. Open this summer at the south end of the complex, next to the Megaplex Theatres, it will be the first Utah location for the California-based company. According to the company website, a second Utah store will open in St. George later this year. In addition to ice cream, Sweet Rolled Tacos serves milkshakes, with nearly two dozen flavor additions, as well as iced tea, coffee and vegan offerings. 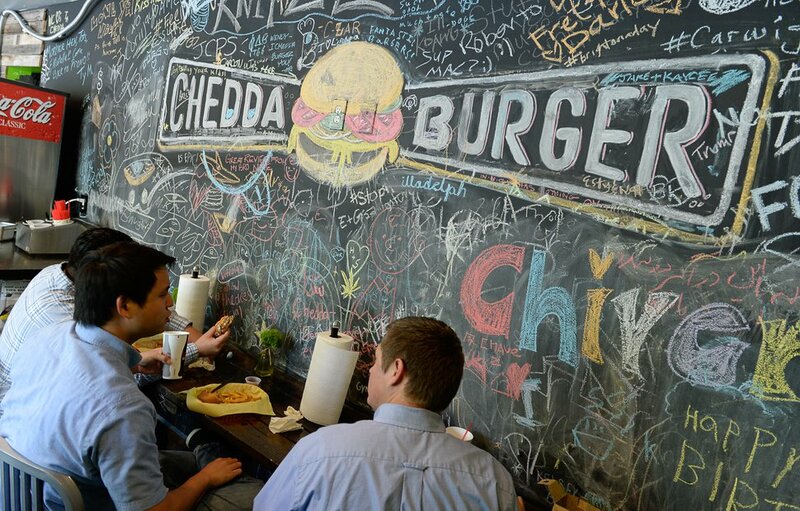 Chedda Burger • This Utah-based “Burger With Attitude” restaurant will open its fourth store in late spring, Cushing said. Owner and chef Nick Watts started in 2012 with a food truck. Since then, the business — which specializes in unique burger offerings such as The Green Mile topped with bacon and mac 'n' cheese — has grown to include three brick-and-mortar stores in downtown, Sugar House and Lehi. Francisco Kjolseth | The Salt Lake Tribune Chedda Burger owner Nick Watts started his business as a food truck but was so successful he recently added a stand-alone restaurant at 26 E 600 S in Salt Lake City. Seabird Bar & Vinyl Room • This 21-and-older lounge should open on or before May 1, as owner Josh Rosenthal recently was granted a bar license from the Utah Department of Alcoholic Beverage Control. The intimate cocktail lounge — with vinyl records providing both wall decor and background music — is located next to its sister concept, La Barba Coffee, on the north end of The Gateway. Wiseguys Comedy Club • This venue, which moved to The Gateway in 2015, will expand to include a full lounge, dining area and meeting space. “It will be a great amenity,” said Cushing, who noted ticket holders who previously waited in lines “that go around the building” will now be able to congregate inside before every show. Vestar is well into a $100 million renovation of The Gateway since buying the lagging shopping center in 2016. The overhaul has included improved security, a face-lift for the common areas and proposals for a boutique hotel built onto the Union Pacific Depot. 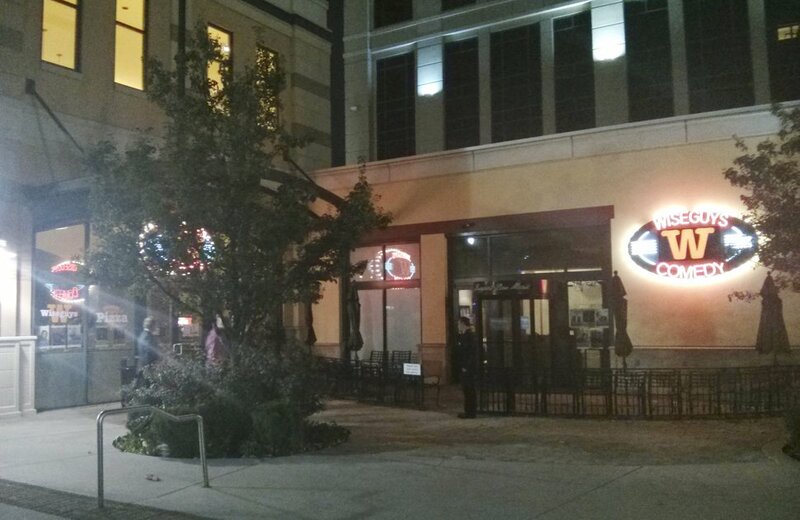 Tyler Cobb | The Salt Lake Tribune Wiseguys Comedy Club at The Gateway is expanding. Hall Pass • This large food hall will include several vendors, including SkinnyFATS, a rapidly growing Las Vegas-based restaurant, and Stemless, a beer and wine bar. It is currently under construction at south end of the center. The Store • This new 9,000-square-foot market, at 100 South and Rio Grande Street just west of the Discovery Gateway Children’s Museum, will feature hundreds of locally produced and specialty foods. The downtown outlet will have a delicatessen, bakery and lots of seating, but no pharmacy. Punch Bowl Social • The former Barnes & Noble bookstore at the north end of the development is being remodeled to make way for this eat-drink-play concept for those 21 and older. Clarification: This story was updated on April 11 at 2:18 p.m. It now includes accurate liquor license information about Seabird Bar & Vinyl Room.